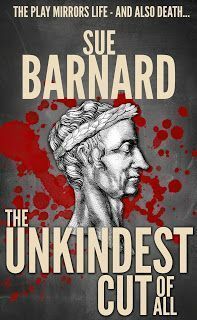 Q & A with Author Sue Barnard. Today is a special day. Not only am I interviewing my first blog guest, but I’m also interviewing a very talented author and editor. Someone I’ve had the pleasure to work with over the last few months, and who has become more than just a writing colleague. Please welcome Sue Barnard. Hi, Cristina, and thank you for inviting me to your blog. I feel especially honoured to be your very first guest! Sue, your next novel NEVER ON SATURDAY will be released through Crooked Cat Books very soon, on the 9th February. This is your fourth novel, I believe. Could you summarise your latest work in just a few words? What was your inspiration for this novel? 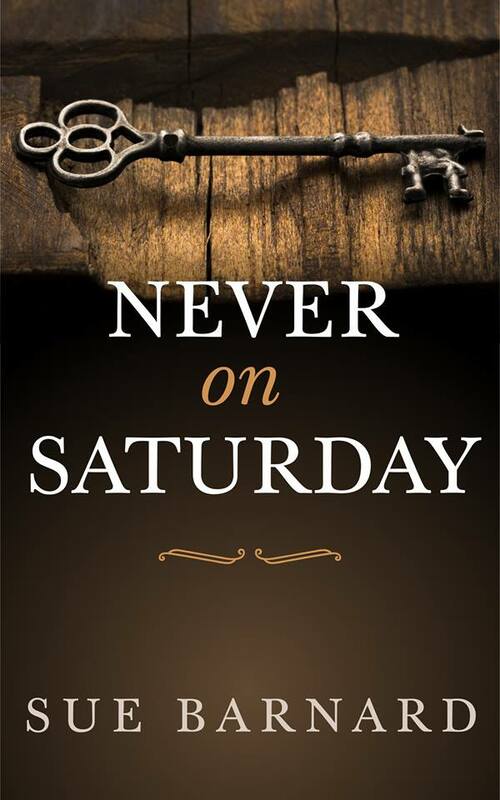 NEVER ON SATURDAY is a time-slip romance novella based on an old French legend. I first came across the original legend during a holiday in France a few years ago, but the inspiration for writing the novel came to me a few months later, when I was gardening. I’ve had some of my best writing ideas (and occasionally defeated the dreaded Writer’s Block) when I’ve been mowing the lawn or digging the flowerbeds. In this particular case, the inspiration was a single line of dialogue which popped into my head out of nowhere: My name isn’t [X], it’s [Y] – where [Y] is the name of the character in the original legend. Is there a theme, trait or style that can be found in all your novels, or are they all told in a different way? If they have a common theme, I’d say it was “Romance with a Twist” – although they’re all quite different in style and content. The Ghostly Father is set mostly in sixteenth-century Italy, Nice Girls Don’t is set in southern England in 1982, The Unkindest Cut of All is set in England in the present day, and Never on Saturday is set partly in medieval France and partly in present-day North Wales. I’ve dabbled for most of my life with short stories, poems, articles, and the occasional stroppy letter to The Times. But if you mean What inspired me to write a novel?, then I suppose it all started thirty-odd years ago, when I first saw Franco Zeffirelli’s wonderful film of William Shakespeare’s Romeo & Juliet. There wasn’t a dry eye in the house at the end, and I came away thinking: This is the world’s greatest love story – so why does it have to end so badly? That question haunted me for decades. Then, a few years ago, I came across one of those lists of Things You Must Do Before You Die. Most of them were pretty underwhelming, but the one which leapt out at me was Write The Book You Want To Read. The book I’ve always wanted to read is the alternative version of Romeo & Juliet – the one in which they don’t fall victim to a maddeningly preventable double-suicide. Why, I asked myself, should there not be such a book? And the answer came straight back: Why not indeed? And if it doesn’t exist, then go ahead and write it. 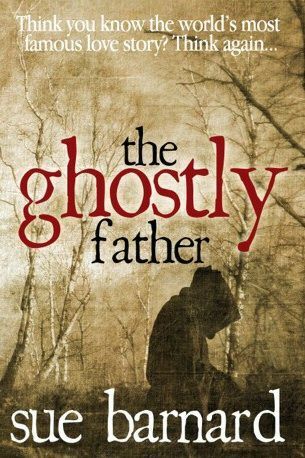 The eventual result was The Ghostly Father. 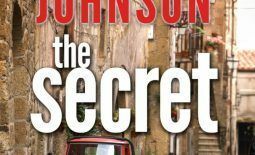 This is a sort of part-prequel, part-sequel to the original Romeo & Juliet story, told from the point of view of the Friar, with a few new twists and a whole new outcome. I started out writing it just for myself, because it was the ending I’ve always wanted, but a friend who read the first draft told me that I ought to try taking it further. The rest, as they say, is (alternative) history. You’re also a talented Editor. I imagine this is a great advantage, but does the Editor in you sometimes interfere with your creative / storyteller side? Yes, frequently, if I let it. It used to be a big problem because I originally thought that every sentence needed to be absolutely perfect before it even hit the page, and that slowed my writing down to a snail’s pace. But I’m a bit more flexible now. When I’m getting the words down for the first time, I just let them appear on the page and force my Inner Editor to take a back seat. When I eventually let her loose on the manuscript she can be pretty ruthless, but (as another writer friend once told me) you can always go back afterwards and edit what you’ve written, but you can’t edit a blank page. What’s the nicest thing that’s happened to you, writing-related (apart from getting your work published, of course, which is a huge milestone)? It’s lovely when people tell me how much they’ve enjoyed my books. That makes it all worthwhile, and reassures me that I must be doing something right! When you’re not writing, editing, reading, etc, what else do you like to do to unwind? I love going for walks, and looking out for wildlife – especially birds. I wouldn’t describe myself as an expert, but if I see something I like to find out what it is. I also enjoy good comedy, either vintage or modern, and I always feel very sorry for anyone who can’t see the funny side of things. There is far too much misery in the world, which is why it’s essential to have a sense of humour. A sense of humour is a sense of balance. Finally, what have been your highlights in 2016 and what are your plans for 2017? Being selected to appear on BBC TV’s Only Connect quiz show was definitely a once-in-a-lifetime event. Even though our team didn’t progress beyond the first round, it was great fun. I did a fair amount of travelling during 2016. One of the high points of the year was seeing a performance of Macbeth at Shakespeare’s Globe Theatre in London. I also made some lovely new friends, including you. 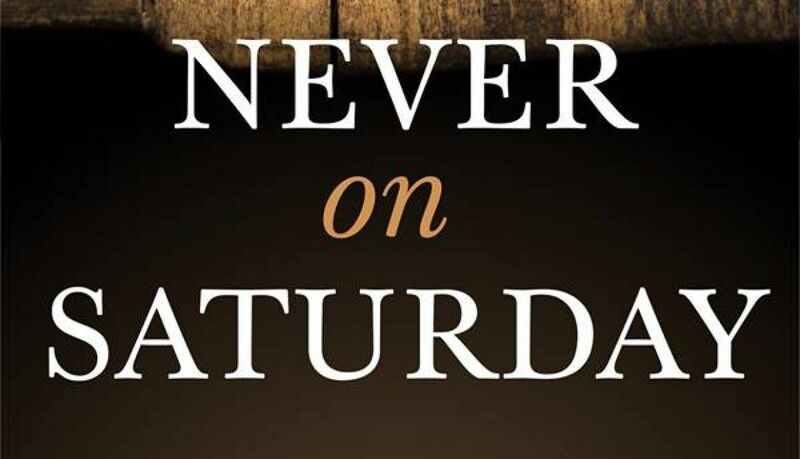 2017 will see the publication of Never on Saturday, and I’ve just started work on another editing project for Crooked Cat. In the meantime I will carry on with my current novel. I’m also hoping to make some progress on a poetry project which has been on the go for years. Don’t stay in specially waiting for it to be finished, though. Travel plans include visiting my family in Australia. That is another story entirely, and would probably fill an entire book on its own. I also need to re-design and re-plant a new flowerbed in the back garden, once the weather here gets a bit warmer. I’m hoping that the Muse will once again take the opportunity to pay me an unexpected visit. Sue Barnard is a British novelist, editor and award-winning poet whose family background is far stranger than any work of fiction. She would write a book about it if she thought anybody would believe her. 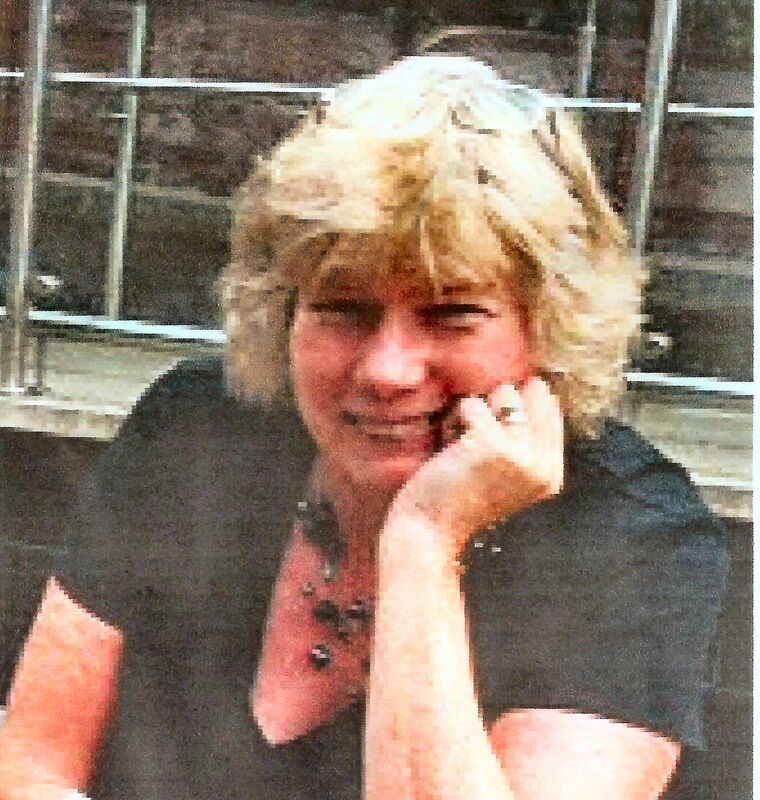 Sue was born in North Wales but has spent most of her life in and around Manchester. She speaks French like a Belgian, German like a schoolgirl, and Italian and Portuguese like an Englishwoman abroad. Sue joined the editorial team of Crooked Cat Publishing in 2013. Her first novel, The Ghostly Father (a new take on the traditional story of Romeo & Juliet) was officially released on St Valentine’s Day 2014. Since then she has produced three more novels: Nice Girls Don’t (2014), The Unkindest Cut of All (2015) and Never on Saturday (2017). Sue now lives in Cheshire, UK, with her extremely patient husband and a large collection of unfinished scribblings. You can find her on Facebook, Twitter (@SusanB2011), Amazon, or her blog. Sign up to Cristina's New Releases mailing list and get a free copy of her short story "Three Against One" a true story about love, survival and hope. Get exclusive content, sneak peeks & contests! And automatically enter a chance to win some fab giveaways! Plus get a FREE copy of her short story "Simply Anna" now! Your information will *never* be shared or sold to a 3rd party. We value your privacy and would never spam you. You will receive updates about new releases and offers and can unsubscribe at any time. 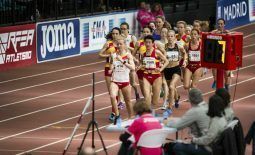 Seven tips to break the myth that all expats on the Costa del Sol are uncultured (aka lager louts).